Learn more abou the NSSF’s +ONE Movement at LetsGoShooting.org and LetsGoHunting.org. 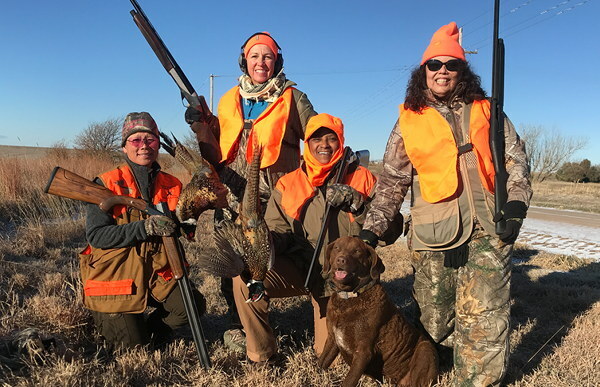 Those sites offer how-to articles and videos, along with tips on getting folks involved in the shooting sports (and hunting). But honestly, the websites are only an invitation. 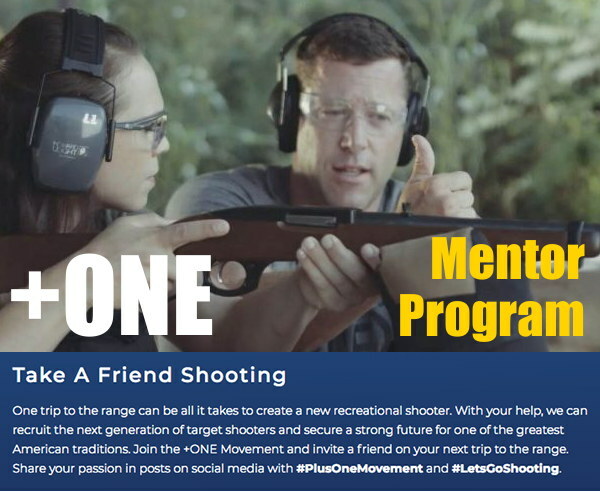 For this program to succeed, each of us needs to make a commitment to mentoring a new shooter in 2019. Simply put: Never point a gun at anything you don’t intend to shoot—even when dry firing. Never load a gun until you are ready to shoot. When not in use, store firearms and ammo separately. Treat every gun as though it can fire at any time. Safeties are mechanical devices that can become inoperable without your knowing. No target is so important that you can’t take the time before pulling the trigger to be certain of where your shot will stop. Using improper or incorrect ammunition can destroy a gun and cause serious personal injury. Always double-check your ammo. If nothing happens when you pull the trigger, keep the muzzle pointed downrange, unload the gun, and dispose of the faulty cartridge. Exposure to a firearm’s report can damage hearing; adequate vision protection is essential at all times while shooting. Before loading a firearm, open the action, check that there’s no ammo in the chamber or magazine, and make sure the barrel is clear. Any alteration or change made to a firearm after manufacture can make the gun dangerous. Also, follow the manufacturer’s service recommendations. Every firearm is different. Never handle a gun without first familiarizing yourself with it and the way it works. Many people who may not be interested in target shooting or competitive shooting may find hunting appealing. Bring new people into the ranks of hunters will also help protect our gun rights. 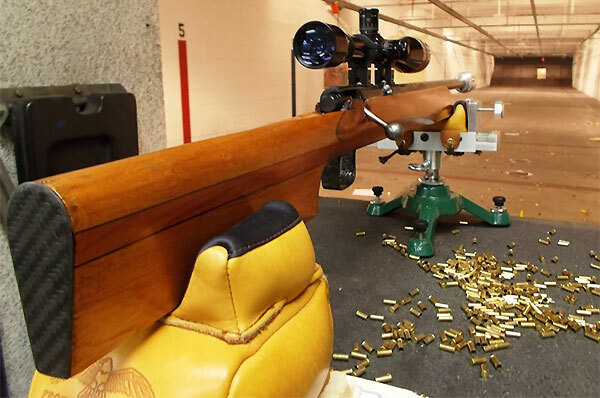 Share the post "Introduce Someone to Shooting — NSSF +ONE Mentor Program"
We have used NO-LEAD Cleaner in rimfire benchrest rifles similar to this modified Suhl 150-1. It helped restore accuracy with minimal brushing. If you’ve got stubborn lead fouling in a rimfire barrel, or on a pistol’s muzzle brake/compensator, you should definitely give this stuff a try. We don’t know how but it does soften lead deposits. The manufacturer says you don’t need brushes, but we found that a bit of brushing (after NO-LEAD application) can help remove more serious lead build-up. Frankly we were surprised to find a lead remover that really works. We tried a half-dozen other lead “cleaners” that promised to dissolve lead and most of them, we discovered, are nearly useless. There’s a reason for that, as the lead alloys used in bullets don’t react to typical petrochemical-based solvents. It took the Wipe-Out chemists over five years to perfect a new water-based solution that really does dissolve lead. NO-LEAD Lead Remover is a clear, red gel that is easy to apply. Just swab it in your bore (or on muzzle brakes) with wet patches or bore mop and let it sit for a few minutes. (The manufacturer says you can leave the NO-LEAD for up to 20 minutes, but that long of a dwell time does not seem necessary with our rimfire barrels.) When it contacts lead it will start to foam and you’ll see that the NO-LEAD solvent turns a pastel pink when it dissolves lead. The pink comes from the formation of lead oxide. After the recommended dwell time, simply patch out the dissolved lead deposits (you can also use a nylon brush for stubborn lead build-up). NOTE: After cleaning, it is very important that you get all the NO-LEAD out of your barrel, and neutralize it. We recommend following the application of NO-Lead with Wipe-out or Patch-Out to neutralize the NO-LEAD, clear the bore, and remove residual carbon and copper fouling. If you don’t have Wipe-Out or Patch-out, flush the barrel thoroughly with Rubbing Alcohol or even a solution of Dawn dish detergent — then re-oil the bore. Remember that N0-LEAD is a strong, slightly acidic chemical that needs to be neutralized after use. If you leave it on a nice, blued barrel for too long, it can harm the bluing. NO-LEAD will remove all the surface oils from the barrel bore. For this reason it is recommended that you neutralize NO-LEAD with Wipe-Out, or Patch-Out, which both contain effective corrosion inhibitors. If you don’t have those products, once you’ve flushed the NO-LEAD with something like rubbing alcohol, then follow with a gun oil. Caution: A petroleum-based gun oil will NOT, by itself, neutralize NO-LEAD. You need to neutralize first, then apply the corrosion inhibitor (or do it all in one step with Wipe-Out or Patch-Out). NO-LEAD Lead Remover costs $15.99 for an 8 oz. squeeze bottle with a flip-top spout. This product is sold directly by Sharp Shoot R Precision Products, www.Sharpshootr.com, or you can purchase NO-LEAD through many other online vendors. For more information, send an email via the Sharp Shoot-R Contact Form or or contact Sharp Shoot-R at (785) 883-4444. You can ask for Terry Paul, Sharp Shoot-R’s owner and the master chemist who developed the NO-LEAD formula. Share the post "Great Cleaning Option for Rimfire Shooters — NO-LEAD Cleaner"